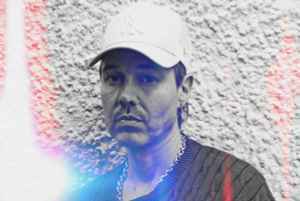 Jonny L (often spelled as Johnny L) is a British drum and bass producer. He has also released music under the alias of Mr L and was one half of the UK garage duo True Steppers. Before that he was an in-house engineer at Strongroom studios in London. He signed to XL Recordings, the same label as The Prodigy and SL2. He produced more rave singles such as "Ooh I Like It" and "Make Me Work." He left XL to form his own record label, Piranha Records in 1999. He continued to produce singles, but these had a darker sound to them. He released a single on the record label Metalheadz in 2002 titled "Synkronize" / "Phreak". "Synkronize" featured vocal sampling speculated to be from Brian Harvey of East 17. Another album, 27 Hours A Day followed with the George W. Bush-sampling single "Let's Roll" in 2003. Jonny also produced True Steppers' "Out of Your Mind", the hit single featuring Dane Bowers and Victoria Beckham, and also produced "Who Do You Think You Are" and "Do It Till We Drop" for S Club's 2002 album, Seeing Double. More recently, in 2007, he started a project with vocalist Paul Cumberbatch (aka Paul Vibe, who appeared on some of his singles) called Lo-Rider. They released two singles, the first, "Skinny" was released in 2006, with "Watch Me" being released in 2007. He produced a track called "1 N 2" on Hospital Records, for the compilation album Sick Music 2, released on 26 April 2010. On 26 November 2012, Sick Music 3 was released by Hospital Records, which contained his track "Moon."